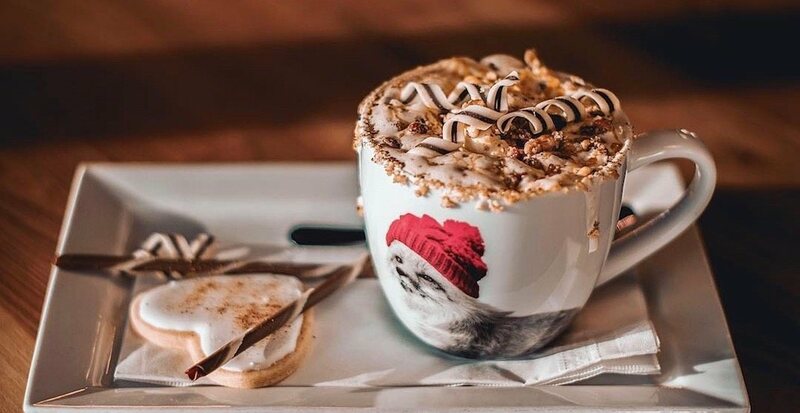 YYC Hot Chocolate Fest is back for 2019, and while there are a whopping 61 spots participating in this year’s event, there are some that are a bit more outrageous than others. Here are seven must-try drinks to get during YYC Hot Chocolate Fest. This chocolate chip cookie dough hot chocolate is made with cookie dough-infused steamed chocolate milk, topped with chocolate whipped cream, house-made chocolate drizzle, and a mini chocolate chip cookie and extra chips. The ‘Chai on Life’ is made with The Chocolate Lab’s Midnight Casanova chocolate, Tahitian vanilla, Chai Masala, Vietnamese cinnamon, and fresh ground nutmeg finished with cinnamon sprinkled whipped cream and a house-made pizzelle. Cravings has been serving patrons this killer Buttered Bourbon Pecan Chocolate for the 2019 festival. This drink has a base of milk and dark chocolate with Nutella, some whisky and a splash of hazelnut liqueur topped with homemade marshmallow fluff. Enjoy a mug of decadent hot chocolate sprinkled with cinnamon and cayenne from Vendome during the festival. Ollia is offering a delicious chai hot cocoa for YYC Hot Chocolate Fest this year, and it comes with a macaron, of course. This 23rd Avenue spot is serving up its drink called the “Mon Berry,” a dark hot chocolate made from cocoa beans and topped with homemade raspberry whipped cream placed on top and a handmade marshmallow sphere filled with raspberry coulis.